The soul-bride who has not known delight with her Beloved Lord, shall weep and wail with a wretched face. She becomes hopeless, caught in the noose of her own karma; without the Guru, she wanders deluded by doubt. So rain down, O clouds. My Beloved Lord has come home. I am a sacrifice to my Guru, who has led me to meet my Lord God. My love, my Lord and Master is forever fresh; I am embellished with devotional worship night and day. I am liberated, gazing on the Blessed Vision of the Guru’s Darshan. Devotional worship has made me glorious and exalted throughout the ages. I am Yours; the three worlds are Yours as well. You are mine, and I am Yours. Meeting with the True Guru, I have found the Immaculate Lord; I shall not be consigned to this terrifying world-ocean ever again. If the soul-bride is filled with delight on seeing her Beloved Lord, then her decorations are true. With the Immaculate Celestial Lord, she becomes the truest of the true. Following the Guru’s Teachings, she leans on the Support of the Naam. She is liberated; the Guru has untied her bonds. Focusing her awareness on the Shabad, she attains honor. O Nanak, the Lord’s Name is deep within her heart; as Gurmukh, she is united in His Union. 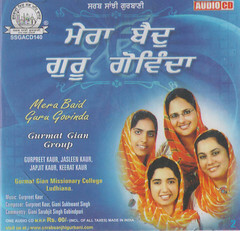 This entry was posted in Shabad Kirtan and tagged Baras Ghana, Baras Ghana Mera Pir Ghar Aya, Gurbani Kirtan, Gurbani Sangeet, Gurmat Gian Group, Gurpreet Kaur, Kirtan, Raga Malar, Raga Malhar, Shabad, Shabad Kirtan. Bookmark the permalink. You are right. ‘Beloved’ is more appropriate than ‘Husband’. And thanks for your visit and interest. Keep visiting for many more Shabads. Fantastic shabads,very soothing tunes,one feels at peace when listening to shabads. ravinder singh is correct to the extent of spiritualism and beloved is most suitable word for it. Beautiful song and beautiful site. Thanks for creating. Well done. I would try to give you the notation for this Shabad in the 1st wk of August. 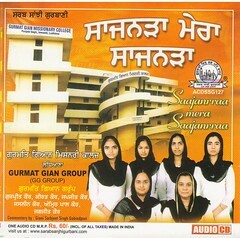 These days I am busy composing and recording an Album of Compilation of 31 Shud Raags of Sri Guru Granth Sahib Ji. This project is in its final stages. 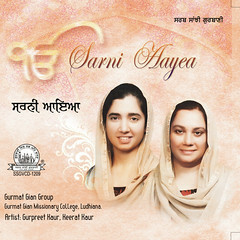 Gurpreet Jio, You have a divine voice and so does your daughter. 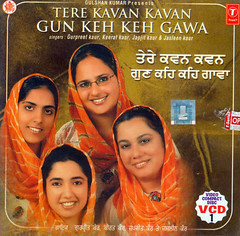 May I request you to sing Guru Nanak’s Bara Mah (Raag Tukari) I have searched high and low but been unable to find any. , There is one shabad sung by Dr. Gurnam Singh but not full Guru Nanak’s Barah Mah..
You have Guru’s Hand on your head. Keep singing His Praises. Thanks Sangat Singh ji for appreciating our work. 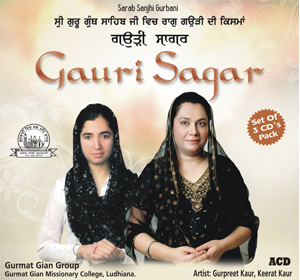 Presently I am working on an Album based on All the forms of Raag Gauri mentioned in Sri Guru Granth Sahib Ji. All the 12 forms of Raag Gauri including the shudh Gauri. Plan to take up separate Albums for Individual raags. When we reach Tukhari, would keep in mind your suggestion. With your divine voice coupled with your daughter’s would do full justice and would be a sensation. I do wish and hope you could sing the shabad in the same tune and raag. Please do consider this prayer. With blessings for all the wonderful seva you are doing. Sangat Singh ji, That shabad by Guru Teg Bahadur Sahib Ji,is a beautiful Shabad. In this one shabad Guru ji has put in every thing we need to remember. Surly I would love to compose and sing this shabad. Noted down in my list of shabads to be recorded in future as early as possible. Thanks for your being part of our cyber sangat. 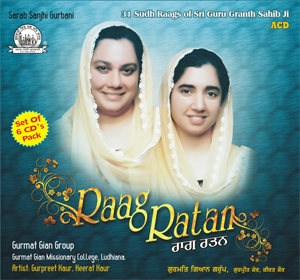 While listening to this shabad, sung with so much dedication, love, and efforts, seems that it is actually “BARAS RIHA HAI” Great Gurpreet kaur ji, and Keerat kaur ji. Visuals have complemented so well, Dr. Manbir Singh ji u have created something divine. Thanks Maninder Ji for appreciating our efforts. Do keep visiting.